Our nappy review reveals the best nappies for your child or toddler, and if you need a little extra advice, our guide to disposable and cloth nappies can help you out. Have a question about nappies? Ask us in the comments below. For our son, we used (modern cloth nappies/MBN). Over the three years we used nappies, we possibly only used about 50 or so disposable nappies. We only used disposables when he first arrived home until his umbilical cord healed (we were worried about irritation as the cloth nappy waist band sat over it) and also when we travelled (on the airplane). Apart from that, MCN were used exclusively. We only bought online ones, some from China and some from My Little Ripple. The ones ex-China lasted about 12 months and cost around $2.40 each delivered.The My Little Ripple ones lasted 2-3 years and at the time cost around $3.60 each. The later being a far more cost effective proposition and were better made…with more adjustable clips around the legs. We maintained a stock of about 34-40 nappies (about 2-4 days worth depending on age). A few days in reserve are important if one gets extended periods of wet weather. It is worth noting that the microfibre/fleece materials used don’t have much residual water after spin cycle and dry relatively quickly in good drying conditions. We found only two negatives with MCN. The first is they need washing. We prewased/rinsed the nappies in water and used this water to make out grass some of the greenest in the street. The rinsed nappies (and inserts) were then machine washed on normal cycle and air/sun dried. I imagine that a dryer will ‘kill’ the waterproofing after a short time. We also used tank water and a mild detergent (bought in bulk) to wash them in so the cost of washing was minor and significantly less than using disposables. The second is that the wee storage capacity is not as good as the disposable bought ones…but this can be corrected by buying cheap microfibre cloths from hardware store and folding these cloths to double up the storage capacity of the inserts. We also made some terri towelling inserts as well (which were great as we used these against the skin rather than the artificial fleece/mircrofibres. We also had no problem with nappy rash. We also estimate that we saved around 10,000 disposable nappies over the 3 year period. Yes, 10,000 which is an incredibly high number (based on using on average of about 9-10 nappies per day). If each disposable nappy has a volume of 1L, this corresponds to 42 wheelie bins worth…something we avoided going to landfill. After toilet training, we also managed to sell any of our MCN which were still in good condition for just under $2 each. As a result of the above, we strongly recommend the use of MCN to others. For our children (we had multiple rather than 1 or 2) we used Cloth nappies and only resorted to disposables for travelling similar to @phb. They do need washing thus water and detergent so economy of resource use might be a little less than if you used total biodegradable disposables but I have seen very few of those marketed. As @phb also pointed out they then do not end up as un-degradable land fill for future generations to dig up and wonder at what their use was. It takes a bit more time to clean the cloth ones, and we found once you have a system it is fairly efficient. We didn’t use inserts in the cloth ones as we purchased fairly thick cotton towelling ones of an Australian Brand which I have not seen for many years but I have seen similar quality at specialty baby shops, and used different folds to meet the needs as the children grew. If we were concerned that urine could be a concern eg when dressed up to go out, we might use a waterproof outer (pilcher) over the nappy and under the dressy apparel to catch any missed disasters. Always take spares and have a bag/container that can be sealed well, to put any used nappies in for cleaning when back home. Most times we reused these nappies for at least 2 children and once too thin for nappy duty they became excellent cloths for cleaning. A hint if going to use the cloth nappies to help reduce any irritation/nappy rash is when washing don’t use softener in the rinse and instead substitute about 2 tablespoons of white vinegar to the rinse water or dispenser. The vinegar neutralises any remaining soap residue and still leaves the nappies fresh and soft for use. The vinegar also works for most normal clothes so if ever a mixed load is done it can still be used. Also when drying the nappies try to hang them outside in the sun if possible, two advantages to this are that the UV light sanitizes them and it removes many stains that when dried in a drier typically remain eg tomato stains. A PS to test results. Huggies claim only the outer shell figure changed. Are all these people wrong? Popular Aussie baby brand, Huggies, is facing an uproar from angry parents who are demanding the company remove its nappies from shelves. Thanks for the suggesiton the @TheBBG, I’ll post it to our internal channels now. 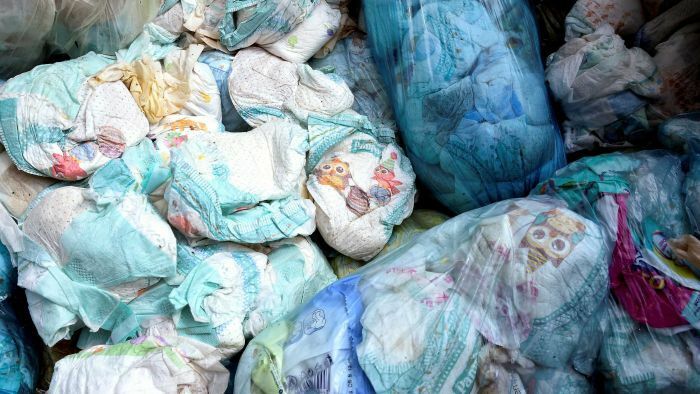 Vanuatu signals it plans to become the first nation on Earth to ban disposable nappies, and now it's scrambling to find an alternative. It will be interesting to see if other nations also take a similar approach if Vanuatu succeed in banning disposable nappies. I can see why they have problems, with a small island nation they don’t have the capacity like say Australia to dispose of such waste due to limited available land for landfill operations. small island nation they don’t have the capacity like say Australia to dispose of such waste due to limited available land for landfill operations. A second potential benefit is the savings in the cost of all those disposable nappies. Everything costs more to supply to small islands on the middle of the ocean? Our take, from using terry towelling style cloth nappies and washable liners. The cost of two weeks supply of disposables was enough for the first supply of cloth nappies. Even adding in the costs of extras over time and the Milton’s sterilising solution, we believed we were ahead financially after the first month. Repeated three times! We used two buckets alternately for sterilising, after which the cloth nappies only required a straight quick wash cycle, no detergent! Line or tumble dry weather dependant. For a resource limited small island nation, perhaps local communal washing and treatment using modern design and eco sensitive laundry facilities would enhance the outcomes? We raised our 3 childraen using only towelling nappies. Must have saved us a bundle and no stinking rubbish bins. Indeed it is an “in sight” problem for them and so very conspicuous, but it is no less a problem for larger places just we hide the problem in big holes in the ground. The big holes fill up but the nappies never really degrade (just like other non degradable plastics and products) and so just because they are hidden makes them no less a problem than the one on Vanuatu, they are just out of sight for the present moment. We really don’t have the capacity to bury them, we just like to think we do. Might need to update the nappies review shortly. Kimberley-Clark has announced it's shutting down the Sydney plant which makes Huggies nappies with manufacturing to be moved offshore by late July. 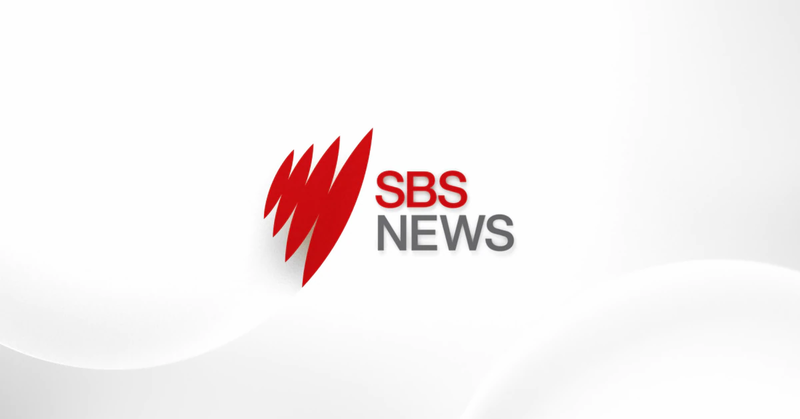 The decision to close the only local factory making Huggies nappies wasn't made in the interests of Australian parents, the union for the axed workers says.